Multi-tier storage systems offer the ultimate add-on floor and storage space that is much needed for storage houses. 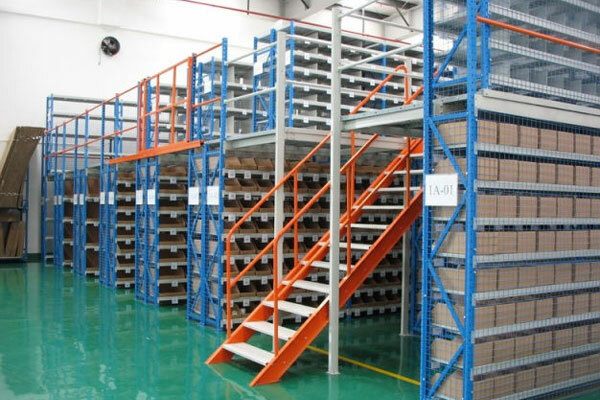 This is a complete system that has multiple shelves, racks and is equipped with stairs, floors, lifts, aisles, walkways, etc. More often than not, you will find that the high tired floors are mirror images of the ground level storage system and walkways are fitted to duplicate the aisle between the racks. 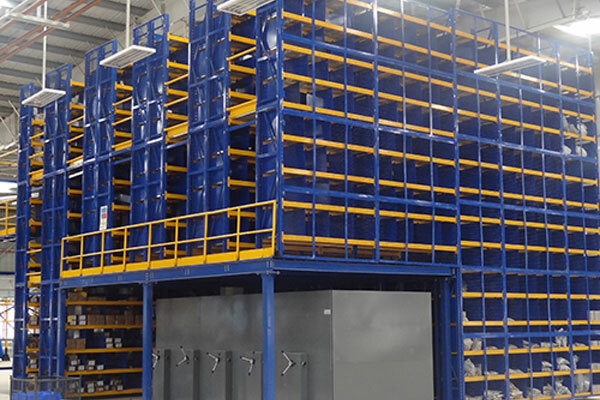 Multi-tier storage systems are popularly used for the storage and order picking of non-palletized goods, bins, cartons, and other small sized units that need to be stored in bulk. The vertical space and storage volume of a premise is well utilized in this system. It is even possible to utilize the full height of the storage house up until the ceiling. This type of storage system is very popular in warehouses, manufacturing and assembly units. ABAJ STORAGE SOLUTIONS offers a high quality multi-tire storage system prioritizing safety, strength and rigidity. It is also possible to expand a single tier storage system into a multi-tiered one in the future. Easy installation, quick assembly, cost effectiveness; customized designs, optimal space usage solution, etc. are some of the advantages that a customer enjoys with ABAJ STORAGE SOLUTIONS. 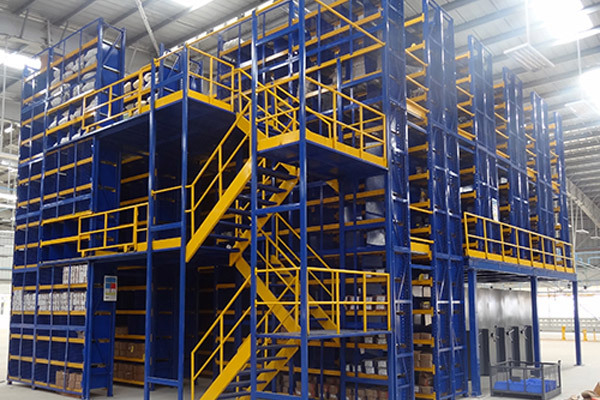 This system is well supported by shelving or pallet racking which are the commonly used racking systems in a multi-tier racking facility. Additional flooring space to carry out manufacturing and assembling operations. Order picking can be done simultaneously across different tiers. Floor surface utilization is high.